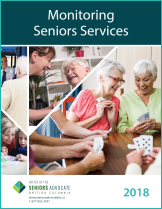 The Office of the Seniors Advocate monitors and analyzes seniors services and issues in B.C., and makes recommendations to government and service providers to address systemic issues. The OSA was established in 2014 and is the first office of its kind in Canada. Speak with one of our Information & Referral analysts, Monday to Friday from 8:30 a.m. – 4:30 p.m. (except statutory holidays).